This 30-30 cartridge features Nosler’s famous Partition projectile. 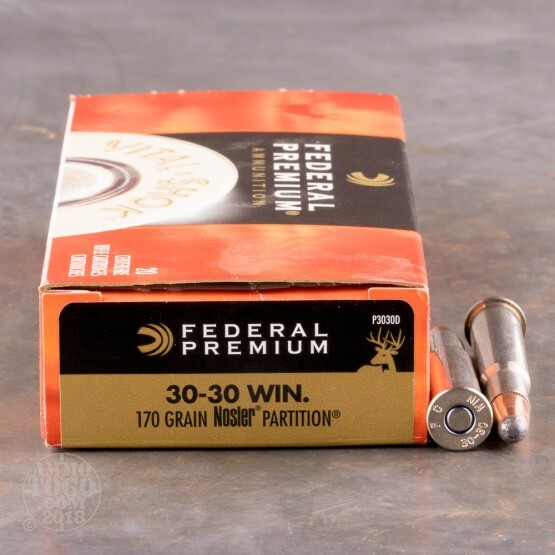 The 170 grain bullet has two lead alloy cores that are separated by the titular partition formed by its jacket. The front core is exposed, and works hand in hand with the thin jacket mouth to bring about wide expansion. Said expansion is made all the more massive thanks to the support provided by the Partition’s rear core. 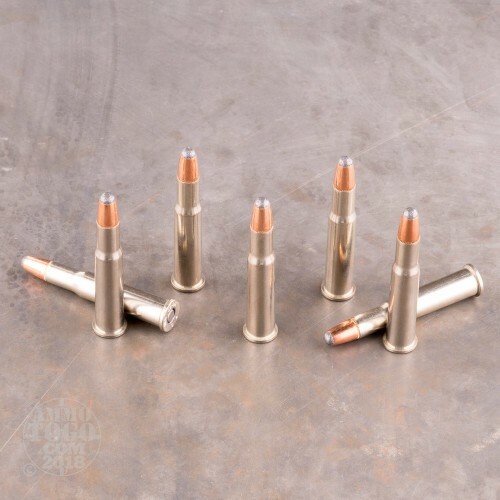 Its rear core also ensures that the bullet retains more than two thirds of its original weight, so it has the mass needed to penetrate a target deeply. The Partition’s base is strengthened by special crimp locks, so intense chamber pressures won’t impact its accuracy. 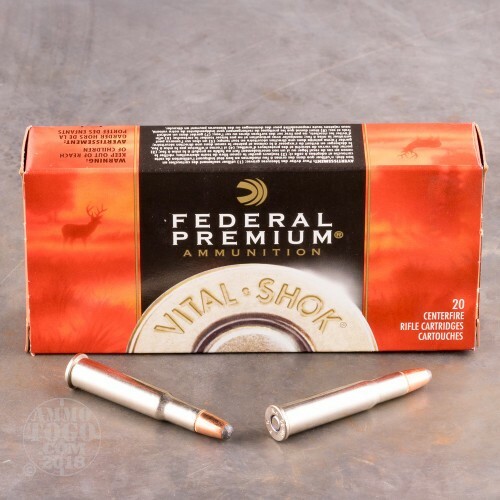 This bullet ought to make short work of any whitetail, and even an elk if you can get in close enough to take your shot. 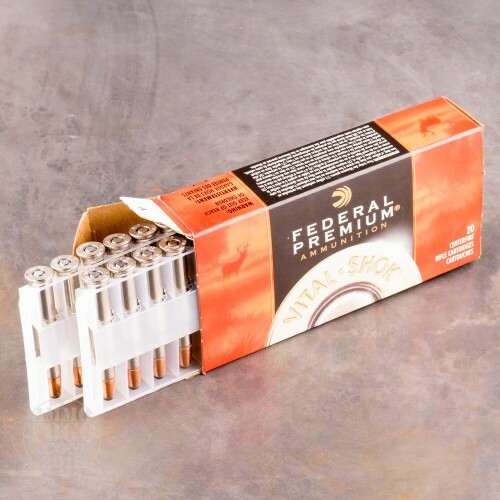 Federal’s first rate brass casing seats a Partition beautifully, and you can reload it with new Partitions several times if you’d like. Federal’s clean burning propellant and non-corrosive primer will treat your rifle just how it likes to be treated as well.